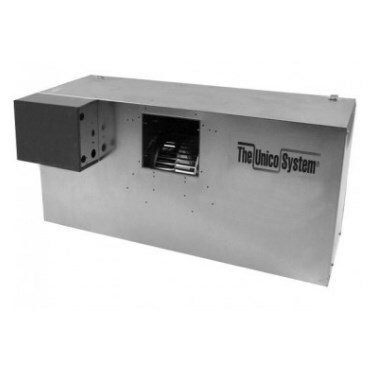 The Unico System patented modular blowers are designed for use with the Unico System small-duct high velocity (SDHV) system. The blowers exceed the U.S. Department of Energy requirements for SDHV systems requiring a minimum external static pressure of 1.2 in of water (0.3 kPa) at the rated airflow when installed with the compatible Unico cooling module. All cooling modules are available in Heat Pump, Chilled Water and refrigerant configurations.